Each driver registered with the State of Illinois has a detailed driver history record on file with the Secretary of State Driver Services Department. These records are maintained for every driver in the State of Illinois regardless of their driver license class. Obtaining your Illinois driving record is a proactive method of making certain that this information is accurate. Any erroneous information contained within your driving record can have a negative effect on your chances of obtaining affordable insurance coverage. 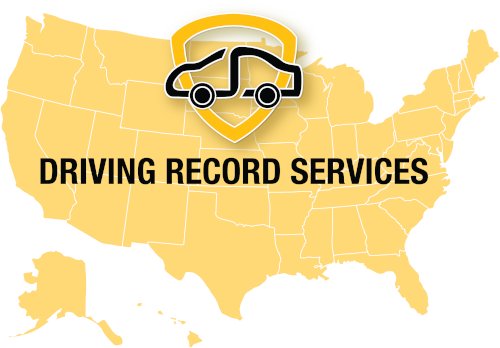 Your driving record has all of the information relative to your history as a driver registered with the Secretary of State Driver Services Department. As a motorist registered with the State of Illinois, your driving record becomes a public record that is maintained by the DMV. 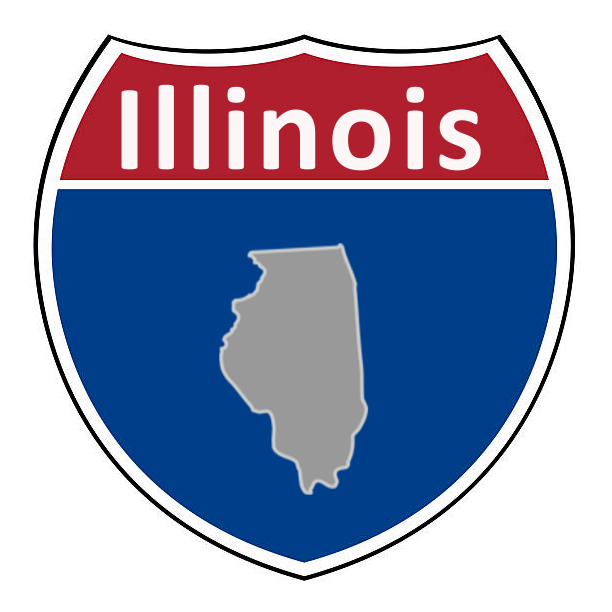 Once any changes to your driving history occur, the Illinois Secretary of State Driver Services Department updates the MVR report in Illinois ato reflect the new changes. Some of the information that could be updated includes tickets for improper lane changing, tickets for speeding, lapses in vehicle registration, DMV license points, and other related information. Learning about the information that is present in your IL driving record report is the best way to make sure that the facts listed are accurate. Order your secure driving record report online today. What Will Be on Your Illinois Driver License Record? Most drivers have a general idea of what they will find on their Illinois driver license record. If you have been a part of any traffic accidents and they were reported, you are likely to find this information listed on your report. However, there may also be points listed on your driving record in Illinois that you weren’t aware of. Depending on which report you order and where you order it from, your record may go back 3 to 5 years, 7 to 10 years, or longer. Obtaining your IL DMV license history is the only way to know for certain exactly what is contained within your report. If you need a certified copy of your driving record to give to an employer or to provide to an insurance company, you can get this directly from the Office of the Illinois Secretary of State. However, if you don’t have a need for a certified copy, an uncertified copy provides the same information and gives you a comprehensive idea of exactly what is listed on your IL DMV report. Simply fill out this short form to have your driving record sent to you directly by email. For drivers who are concerned about how many points are on their license, a quick check of their driving history can provide this information. Demerit points listed on your IL driver history record are in correlation to any offenses committed while you were operating a motor vehicle in the state of Illinois. You can also find information on your driver record related to points placed on your record for out of state driver offenses. The Illinois Office of the Secretary of State uses a point system to assign a certain level of severity to each offense. These offenses are infractions which can add up to a certain number of points. Too many points in a set amount of time can cause a license to be suspended and even revoked. It is important to consistently check how many points there are on your driving record to make sure you aren’t in danger of getting your license suspended or revoked. If there are any IL driving record points that are listed incorrectly on your driving history report , contact the local SOS office to make a correction. You can also opt to take a defensive driving class in order to get rid of points listed on your DMV driving record. The SOS office is the only office that is authorized to make a correction if there are Illinois DMV license points that have been placed there in error. In the State of Illinois, the Office of the Secretary of State maintains a database containing driver records for each registered driver. Each time a new offense has been committed the points are added to the total for the driver who committed that offense. If the motorist exceeds the number of points allowed during a specific window of time, they may experience a license suspension or revocation. If a motorist commits a moving violation that caused the minimum number of points to be added to the driver’s license record, then the demerit points will remain on record for between four to five years. Points accumulated on the Illinois driving record that resulted in a license suspension or revocation stay on record for seven years. Any convictions for a DUI or DWI will remain on record permanently. If you have been wondering how to find out how many points on IL license, you can do so by checking your driving record. This allows you to have a complete report that shows your exact driving record as issued directly from the Office of the Secretary of State in Illinois. 4safedrivers.com can provide you with a copy of your driver history by email. Simply fill out this short form to receive your driver history as soon as today. If after viewing your driving record, you find information that does not match your actual driving history, you will need to request to have it removed. The Illinois Office of the Secretary of State can remove any information listed there that is inaccurate. Why Check Your Illinois Driving Record? Checking your Illinois driving record is advised because this allows you to become cognizant of exactly what is listed there. When you read over your personal Illinois driving record, you can view the information and request any changes that are necessary. In many cases, you can save hundreds of dollars on insurance rates by taking the time to reduce points on your DMV license report in Illinois. A higher than normal number of points on your license may cause your car insurance rate to go up. The car insurance company that you are requesting a quote from will first pull your driver’s history record in Illinois. They won’t be able to view the entire record but they will have access to a partial listing or a summary listing of your DMV abstract in Illinois. If you are applying for insurance, it is helpful to possess a copy of your Illinois driving record so you can be aware of any factors affecting the outcome of your insurance quote. In the event that your insurance premiums appear higher than normal, you can have an idea as to why that is. The reason a potential insurance company may view your driving history is that they will need to determine how much risk they are taking on. After they have reviewed your Illinois DMV license history, they will be able to see if there are any accidents, driving violations, points, or other infractions listed there. If you want to know how to get a copy of your IL driving record, you can obtain a copy right here with 4safedrivers.com. After filling out the request for your driving record, we will email a copy to you in less than 24 hours. It takes just a few minutes before you will have a copy of your Illinois driver abstract delivered to you by email. Since we obtain a copy of your IL driving record directly from the Office of the Illinois Secretary of State, we can be certain that we are providing you with the most accurate version of your IL driver’s license history. All of the information contained within your Illinois driving record report is pulled directly from the official DMV report. You can rest assured knowing that your driving record will have complete accuracy and will contain the most current and updated information. However, it is always advisable to look into your driving records in order to ensure that the DMV has correctly updated your files. Negative information listed there could result in compromised insurance rates or a missed employment opportunity. In addition, you may have a suspended license and not know it, putting you further at risk. Take the time to protect your driving privileges and ensure the accuracy of your Illinois DMV license record by checking your driver report today.